Join the 2018 TORCA Trail Challenge! Experience the diversity of trails with a chance to win some cool prizes. Download the Trailforks app to your phone so you can join TORCA Trail Challenge on Trailforks! Already have a Trailforks? Move on to Step 2, otherwise click below. Join the TORCA Trail Challenge by simply signing up below with your name, email and Trailforks username. That way we can contact you if you win! Yes, sign me up for the Trail Challenge! Log each unique trail you ride on Trailforks. Each unique trail equals (1) entry to our draw prize. Remember, if it’s not tracked, it doesn’t count! No purchase necessary. Each unique trail you ride gets you 1 entry into the draw prize. The more unique trails you ride, the more entries you get! All trails in the Tri-Cities (Coquitlam, Port Coquitlam, Port Moody, Belcarra and Anmore), that are listed on Trailforks, count towards the challenge. The winner will be announced on October 5th . Open to all residents in the Lower Mainland, who are 14 years of age or older as of September 14, 2018. If you are a minor (under 18), you’ll need parental consent to participate. Read full contest details here. 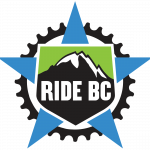 1st Prize: A half-day guided ride for 2 in Squamish with Ride BC (Value: $220) WINNER: John A. 2nd Prize: A 1-year membership to Ryan Leech Connection (Value: $171) WINNER: Soren J. 3rd Prize: Bontrager Stormshell Gloves (Value: $129) WINNER: Duncan M.
4th Prize: Gift card for Pitt Meadow Cycles (Value: $100) WINNER: Kyle K.
5th Prize: Bontrager 29″ MTB Tire (Value: $100) WINNER: Eric K.
6th & 7th Prize: Smart phone mount for cycling (Value: $35) WINNERS: Kyle S. & Anna Z. 8th & 9th Prize: $25 at Yellow Dog WINNERS: Brend W. & David D.
10th & 11th Prize: $25 at Mariner Brewery WINNERS: Peter Z. & E. K.
12th & 13th Prize: $25 at Caffe Divano WINNERS: Bogdan B. & Matthew F.
14th to 18th Prize: In-store credit to Trek Bicycle (Value: $20) WINNERS: Neal W., Jack C., Glen B., Rob I. 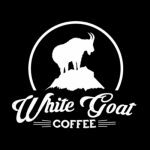 & Kyle R.
19th to 29th Prize: One bag of White Goat Coffee (Value: $15) WINNERS: Robert A., Ian D., Derek W., Elise M., Konrad Z., Ryan C., Crystal V., Tomke A., Rob I., Lee T. & Jen S.
Sign up for the TORCA Trail Challenge here! Can I record my ride on Strava? Yes, as long as your Strava account is linked with Trailforks. How do I link my Strava account with Trailforks? Follow this link to find out how to link your Strava account with Trailforks. Can I still participate if the challenge has already started? Absolutely! In fact, no matter when you register all logged rides between September 14th to September 30th count towards entries into the draw prize! Which trails count towards the challenge? All trails in the Tri-Cities (Coquitlam, Port Coquitlam, Port Moody, Belcarra and Anmore), that are listed on Trailforks, count towards the challenge. So many options, so little time.